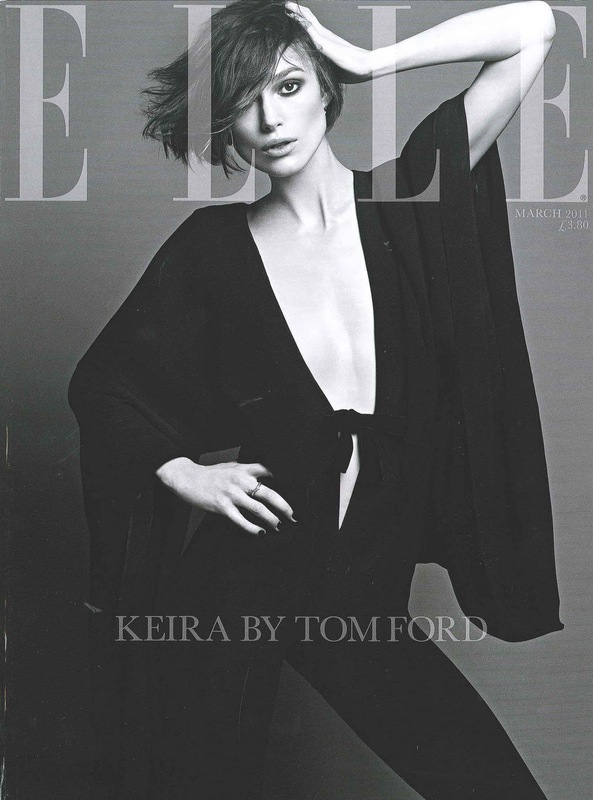 ELLE UK is loving black and white covers at the moment, and so am I.
I like Keira Knightley but not too sure if the outfit is 'her'. She has such a small frame but this seems to be drowning her - but I am loving the short hair. Tom Ford has dressed Keira and photographed by Terry Tsioli. I can't wait to sit down and admire the colourful pages over the weekend! On that note the weekend is here (and payday)!! I don't know why, but this week has really seemed to drag and take forever. I can't wait to be able to enter shops again with money in my purse, after my spending ban of January! I love this cover; its so simple, but perfect that way!